Janet Fischietto is in the TOP 10 Burlesque Hall Of Fame - Most famous Burlesque European performer in the World. MQP are very excited to present this world class act. Janet creates a world of pure imagination every time she steps on any stage . With her seductive naturalness and her ironic style , Janet has succeeded in breaking many taboos of the time. 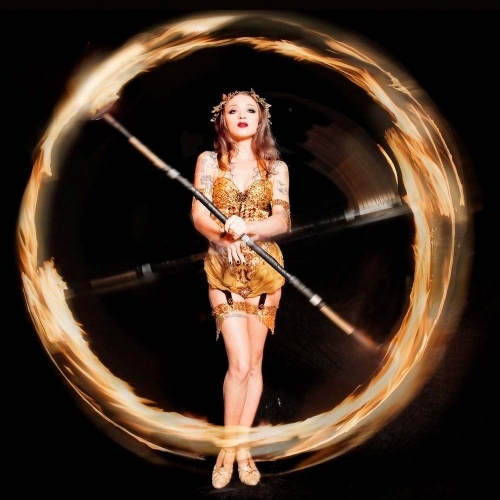 She is a Leader of the International Burlesque scene with circus nature from the early '900. She embodies the fatal and at the same time extravagant exotic beauty of the tattooed woman from the freak shows of the time. Every one of her amazing characters becomes a living work of art. Each of her disguise, music and attitude are in perfect "circus burlesque from the 20/30ies" style, embodying femininity and expressiveness of the divas of silent cinema. 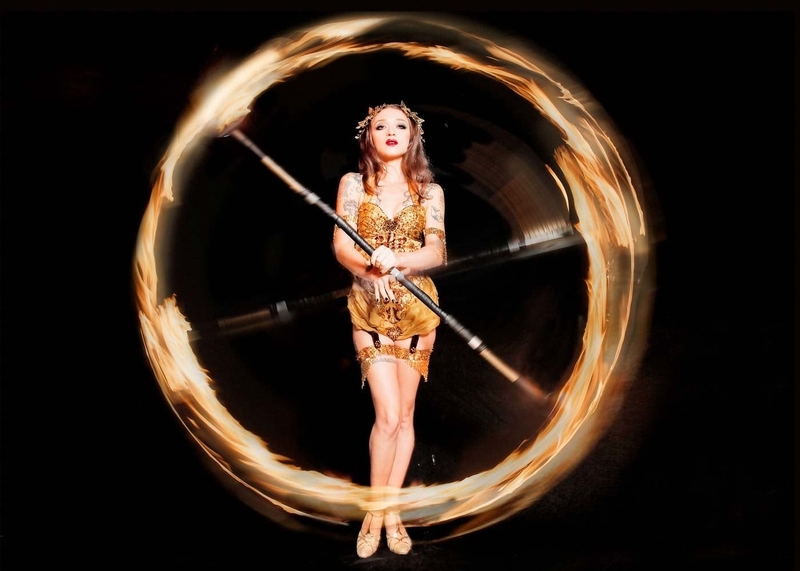 You will watch her on stage with her trapeze and intense aerial / acrobatic disciplines, eating fire and juggling with a 1 meter and half long contact staff on fire. Janet has a 5 star client list , working on many TV and Fashion show . She has also collaborated with various fashion brands such as Dsquared2, Phillip Plein, Hotel Amour, Guess and Dolce & Gabbana. MQP would like to be able to provide you with an evening you will never forget and Janet Fischietto will bring talent , Style and pure class to any event.